The Kentucky Autism Training Center (KATC) is dedicated to giving families access to the information, services and supports they need. Below you will find information on treatment and intervention service providers, what to do when your child receives an autism diagnosis, family support groups, KATC Family Guide, access to the KATC Resource Library, most recent summer camp list and more. In the past several years, the awareness of autism has dramatically increased in our Commonwealth. This increased public awareness of autism can be attributed to the grass roots collaborative efforts of support groups across the state bringing together families and professionals. 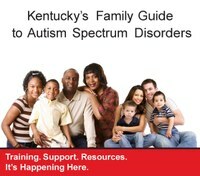 KATC provides FREE on-site training workshops for Family Support Groups throughout Kentucky. If you would like a KATC Field Trainer to provide a training at your support group meeting Submit Your Training Request Here. Information and resources for adults with autism. Also, if you have a child that will be attending college learn more about supporting college students with autism. The Amanda L. King Resource Library is a collection of materials pertaining to Autism Spectrum Disorders available for checkout to families and professionals. The Resource Library contains hundreds of print, electronic and video materials that can be mailed to patrons anywhere across the state of Kentucky. Check out a library book here. Use this interactive map to find a support group in your area. Any additions or edits click here to contact us! 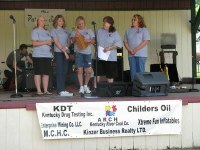 (Kentucky Special Parent Involvement Network) is a statewide 501(c) 3 non-profit organization. 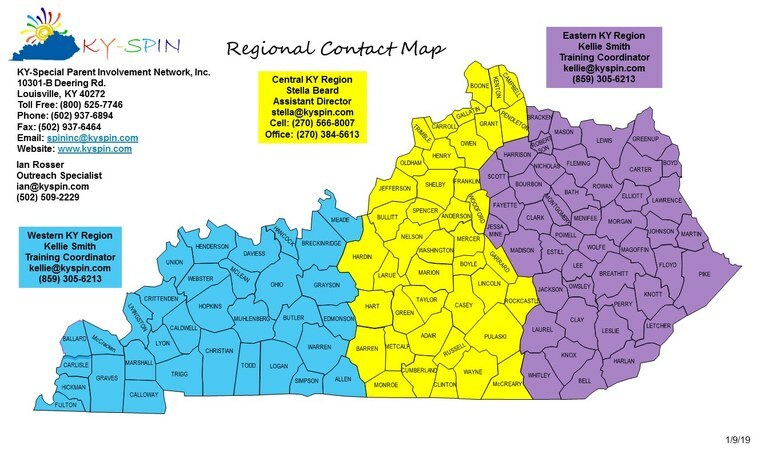 The mission of KY-SPIN, Inc. is to link families and individuals with disabilities to valuable resources that will enable them to live productive, fulfilling lives. Visit KY-Spin's website for more information https://www.kyspin.com/. es like all of us. It is the responsibility of the adults in your child's world to learn how to support them successfully. Your child is doing the very best your child can with the support available at this stage of their development. You are not alone. Other parents can be your lifeline during difficult times. Locate and attend a parent support group or link up with one online to share common issues and concerns and brainstorm solutions. Take care of yourself. Sometimes we become so involved in supporting our child that we don't take time for ourselves. Remember, you can't give from an empty cup. Although your child may have significant needs, it's OK to take time for your other children and your spouse. Be open to what others say, but trust yourself when it comes to your child and what your child needs. You know your child and have important knowledge to share with others about your child. Remember, not everything has to be educational. Make sure your child has some time every day that's fun. We all belong. Allow your child to participate in community activities and give the community the opportunity to learn to support your child.